Are you interested in learning about the role of a mechatronics engineer? Then look no further as we explain the job role and more in this article. A mechatronics engineer sounds more like a fantasy role than a job that is performed every day. However, this role is one which is in demand, and one that incorporates a variety of different systems. What is the Role of a Mechatronics Engineer? Mechatronic engineers spend their time working on designing new machines and systems and at the same time work to improve current ones. With the increase in smart technology, and how it reacts with humans, experts are required to control and maintain this technology as the industry evolves, and that is precisely what a mechatronics engineer is in charge of doing. Mechatronic engineers can work in automation, computer simulations and modeling, robotics, technology, gaming, engineering design, and control systems. They may work in workshops, laboratories, processing plants, engineering firms, and even offices. A mechatronics engineer must, therefore, have a strong set of skills which allows them to focus on all of these objectives. We will take a look at them a little more in-depth below. As we lightly touched upon a few of the various day-to-day tasks that a mechatronics engineer would perform, we will now highlight the multiple skills and requirements that a mechatronics engineer should have and that would help them to get a foot in the door when it comes to applying for such a position. Naturally, if someone is to work within this sector, then they should already possess a good level of interest in both mechanics and electronics. After all, this is where they will be spending the majority of their time, and it will be challenging, so having an interest is essential. Problem-solving skills are also essential when being a mechatronics engineer, as they will need to be able to assess specific systems and machines and determine where any potential issues lie and how to create a practical solution. It is vital that a mechatronics engineer should know circuit boards, chips, processors, electronic equipment, computer software and hardware, as well as programming and applications. Mechatronic engineers shouldn’t just have a good set of technical skills, as practical skills will also be necessary. They will need to be sharp minded and be able to see things from other points of view. Mechatronic engineers should indeed have a good knowledge of specific design tools and how to use them effectively. Various techniques and principles which are used to produce technical plans, blueprints, models, and drawings are crucial. This is especially important during the design process of new systems, machines or software. Working in this role having good math skills is essential. Knowledge of things like algebra, calculus, geometry, statistics and all their applications is crucial to the work of a mechatronics engineer. Mechatronics engineers should also be knowledgeable of business and management principles involved in strategic planning, human resources, leadership production, and many other roles. As mentioned, this is a role which incorporates not only the technical side but also the more practical side too. Sales and marketing may also be critical when it comes to promoting new products. What Do Mechatronics Engineers Earn? If you are interested in finding out the average wage of a mechatronics engineer, then you have come to the right place. According to Glassdoor, a mechatronics engineer can make anything from $78K-$103K per year. It can be seen, therefore, that mechatronics engineering jobs are very well-paid positions and ones which have desirable prospects. As the technological world advances at a fast rate, the role of mechatronics engineers might become more diverse, and definitely more sought after. Companies will continue to expand, utilize and produce new types of technology, and experts will be required to maintain these products and make sure they are performing at their highest potential. Employers will need to rely on someone who will be able to work as part of a team, who provides creativity and imagination and who has a detailed and systematic approach to their work. Most of all they require those who are able to design and develop systems which are successful and that people will be able to communicate with effectively. Therefore, the role of a mechatronics engineer is one which is without a doubt expected to grow rapidly moving towards the future, as more and more technological advances happen. If you are interested in designing new technology and systems, then a career in mechatronics engineering might be the perfect future for you. We hope this article has explained the role of a mechatronics engineer in more depth, and that you now understand what their day-to-day job looks like. 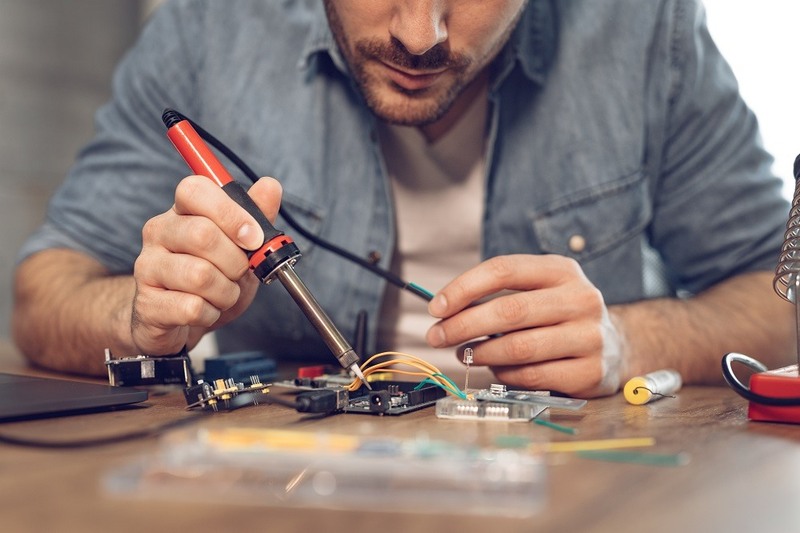 If you are interested in becoming a mechatronics engineer, then be sure to check out the required skills and requirements and make sure you are well informed on all areas that the job entails.